This may be one gift that Santa won’t be able to fit onto his sleigh, so be your own Santa this year and receive the gift farmers need…with savings! Right now, FS Construction Services has the best, inventory-reduction deals of the year on select grain systems. This is the perfect time of the year to buy and build your high-efficient and economical grain system for next year’s harvest. Stay ahead of the game and learn about these amazing deals while you can. 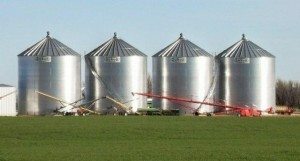 FS Construction Services offers many brands of grain systems such as Sukup, Shivvers, Brock, GSI, Grain Handler, Hutchison, and Lowry. These brands and FS Construction Services are dedicated to helping you find the most innovative and cost-efficient grain systems to fit your grain storage, drying and transfer needs. If you’re considering looking ahead and making the investment, we suggest talking with us at FS Construction Services to explore your options before the end of the year. Give us a call today at 866-551-3454, and we’ll help you find the best deal!